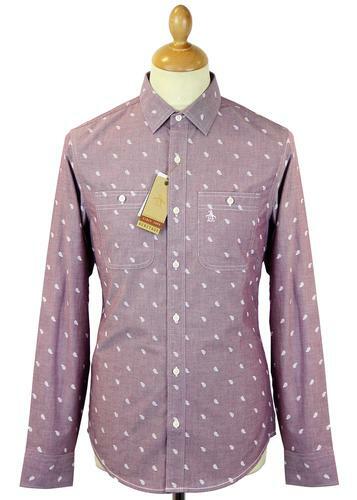 Ben Sherman Seventies Gingham Tartan Check shirt. A contemporary take on Two iconic Shirt designs. The Tartan shirt was a favourite in the 70s punk scene and has stood the test of time to be an design classic today. 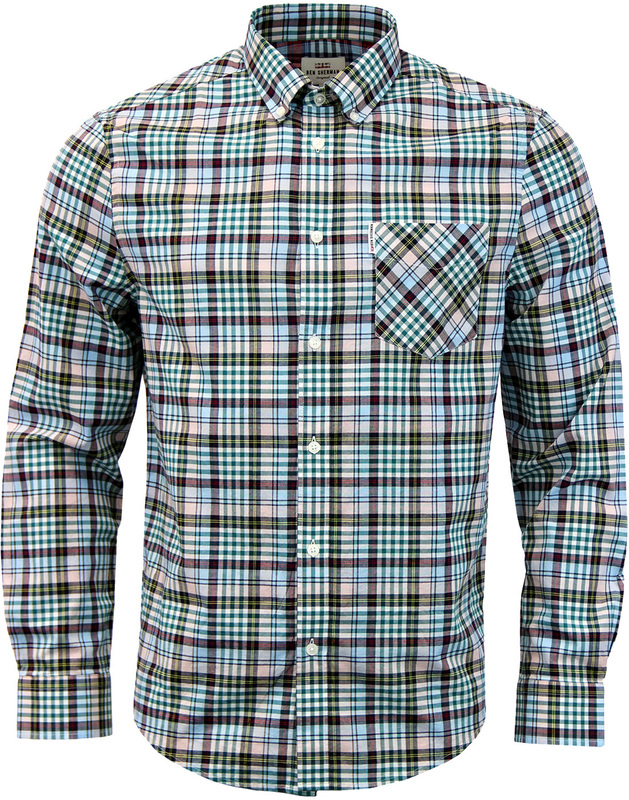 This incarceration incorporates a Retro Mod style gingham check. Small Point button down collar adds to the 60s Mod Vibe. Branded pearl white buttons to collar, plackets and cuffs add an ivy league feel. 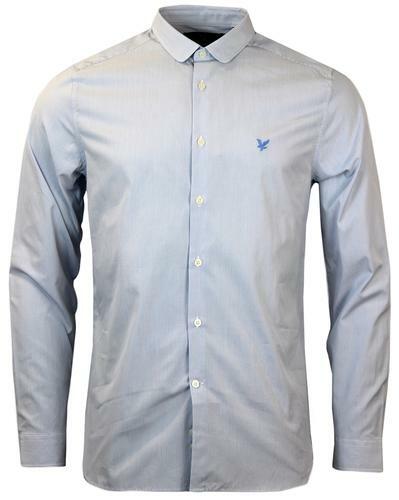 Bias Check chest pocket with branded woven tab finishes this Stunning shirt ideal for any casual outfit. - blue, red and pink tartan check with green gingham detail throughout. 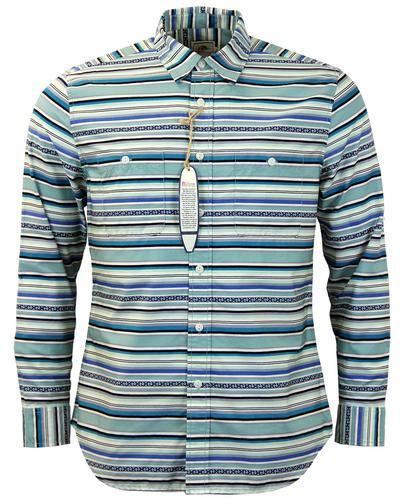 - Retro contrast interior collar trim. 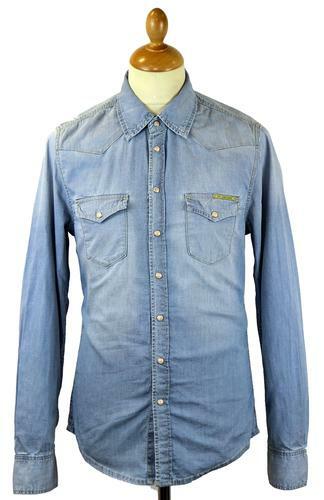 - Button down point collar. - Red Blue, Sky tartan check with navy gingham detail throughout.